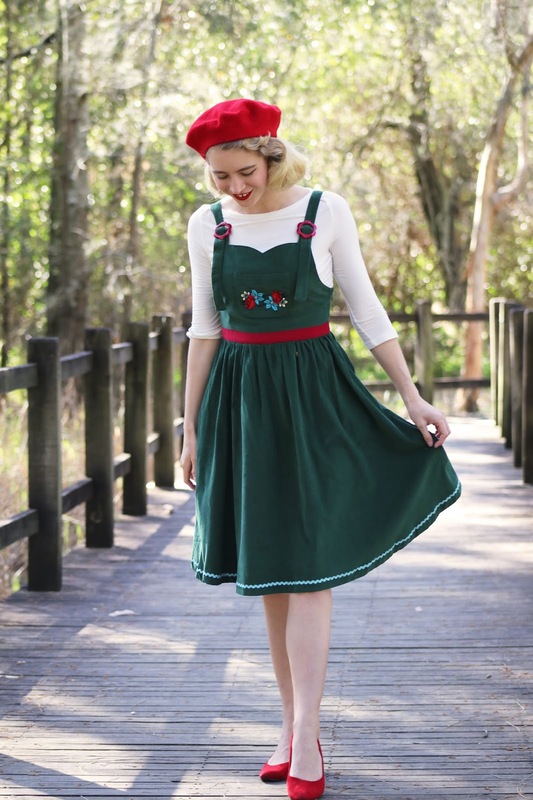 This is my first time trying Lindy Bop and I could not go past this super cute pinafore! 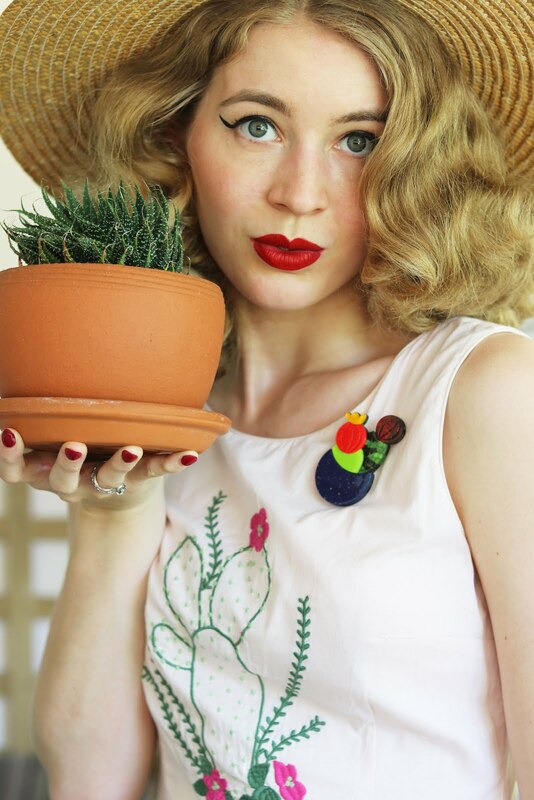 Lindy Bop has been in the vintage repro clothing scene for many years and I'm not sure why but I haven't tried their clothing until now! 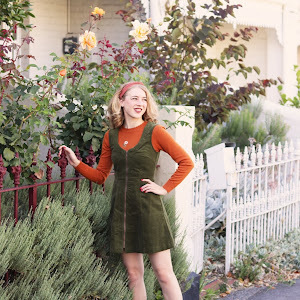 They offer a range of dresses, separates and knitwear but this cute little pinafore caught my attention from their newest arrivals. The Winifred Pinafore is made of corduroy featuring floral strap buckles, floral embroidery, a red contrast waistband, ric-rac trimming and three pockets - the front pocket with embroidery is functional and so I put my camera cap in the pocket during these shots. These are all great features that make it such a cute dress, the quality is really great too and as for sizing I found it to be quite accurate to the size chart. I went for size 8, I have an inch or two room in the waist which makes it a comfy fit but it still looks good, the straps are fully adjustable which makes it great for a range of bust sizes too. I'm really happy with this dress and my first Lindy Bop experience, it only took about a week for the dress to arrive from the UK to Australia too which was awesome! 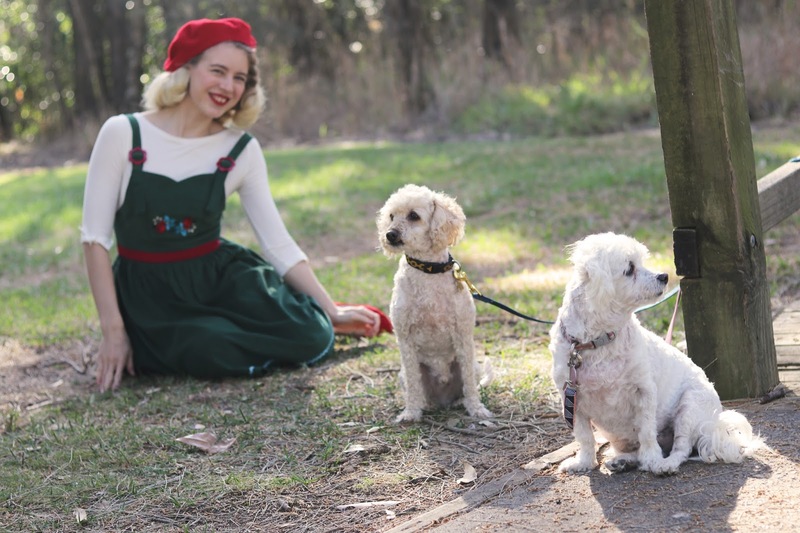 I wore this outfit out to the park this afternoon with mum and the dogs, it was starting to get windy and cool so I could get away with an outfit like this though I think this dress would be great for both cooler and warmer seasons depending on the styling. The afternoon sun was beautiful and we did many laps around the park much to the dogs delight! I spent some of this morning finally watching some of The Handmaid's Tale and getting a few things done. So all in all it was a nice relaxing day after a few long very busy days. OH! I love it! 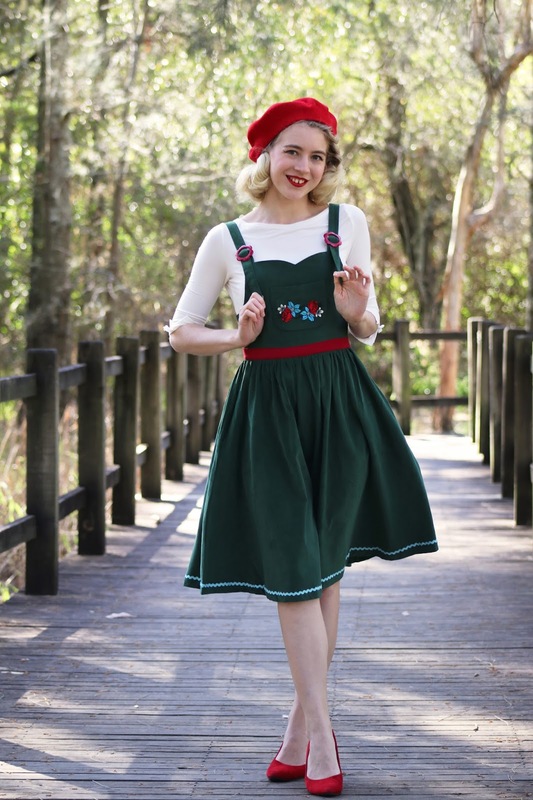 I don't know why, but it reminds me of something Liesl would wear from "The Sound of Music!" I will definitely go check out Lindy Bop! You look so adorable in this - I love the floral and ric rac detail so much and you styled it perfectly! You're so totally the queen of hats!!! 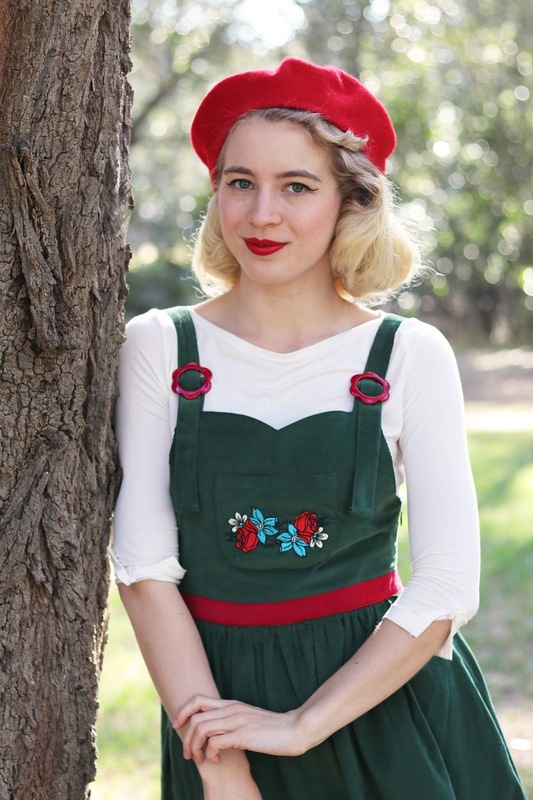 Such a sweet little pinafore! It has a super Austrian look, very 'sound of music' and I for one love that!! And those red accessories are awesome!